A. An ENERGY STAR rating is your assurance that windows and doors will deliver effective thermal performance in your climate zone. Simonton windows provides energy saving windows and doors that meet strict criteria set forth by the EPA are ENERGY STAR-qualified. Q. When it comes to energy efficiency, how do vinyl windows compare with windows made from other materials, such as wood and aluminum? A. 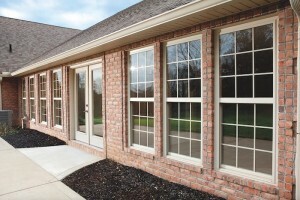 The premium vinyl used in Simonton’s windows and doors is inherently and excellent insulator. It’s far superior to aluminum, and comparable to most wood products. But unlike other materials, vinyl requires virtually no maintenance. Contact Jeff today for an affordable option when replacing your windows 770-318-8514.